The WAV format is often used for storing uncompressed audio files – it’s also the format professionals usually rely on when working with sound in audio editors. 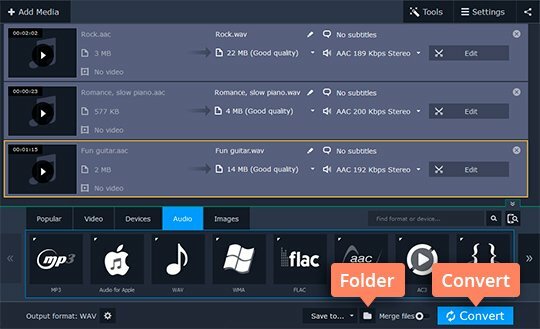 If you need a WAV file converter, try Movavi Video Converter. 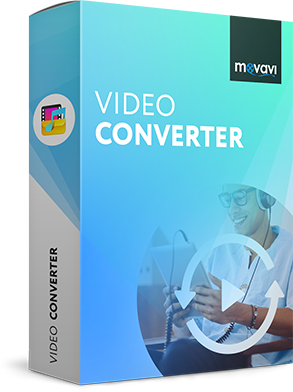 Movavi Video Converter is one of the best programs to help you easily convert videos and music into different formats. 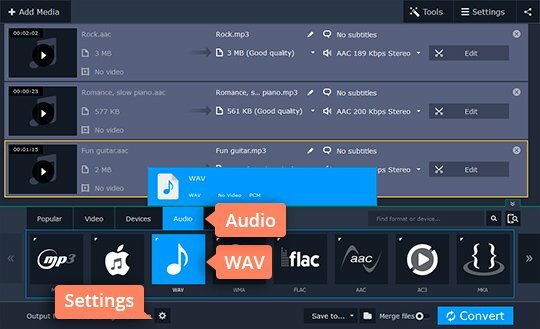 Using this app, you can not only change the file format of your favorite songs but also extract audio from clips in AVI, MP4, WMV, MOV, and other formats. Download the appropriate version of the program below and read the instructions to transform your files. Open the downloaded file and follow the instructions on your computer screen. 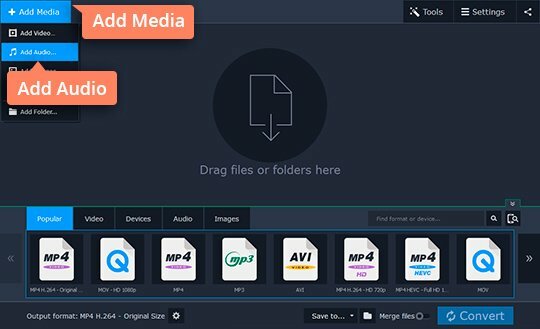 Launch Movavi Video Converter. Click the Add Media button on the left-hand side of the screen and then Add Audio. Select the files you want to convert to WAV and hit Open. Open the Audio tab and choose WAV from the list. 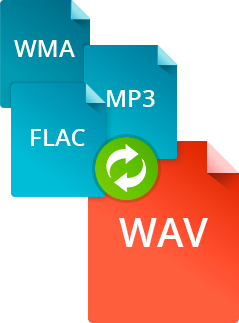 Remember that you can use Movavi Video Converter to convert WAV to MP3, FLAC, OGG, WMA, and AAC – just select the desired audio format from the list. To change the number of channels, audio codec, bitrate type, and other audio properties, click the Cogwheel icon and make your selections. Click the Folder icon to the right of the Save to list. In the dialog box that opens, choose the folder in which to save your converted files. To start the process of converting the selected files to WAV, just click Convert.